IDR Outdoor offers hospitality grade outdoor furnishings with cutting edge design at factory direct price points. We noticed a huge void in the world of outdoor furnishings for hospitality. Virtually every line we came across was outrageously priced regardless of quality. With that in mind we traveled to South East Asia in search of a better solution, the end result being IDR Outdoor. 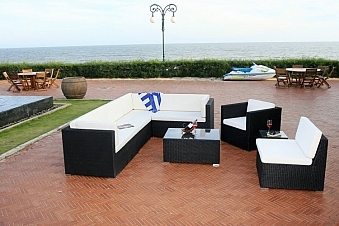 We now offer the highest quality outdoor furnishings on the market at reasonable price points. We are also completely custom capable, so our offerings are only limited by your imagination.